1. GP's first product, announced at the annual ASRM (American Society of Reproductive Medicine) meeting this week, tests chromosomal abnormality. It is a less expensive but more accurate version of existing tests. 2. The polygenic product, to be launched in 2018, checks for hundreds of known single-gene ("Mendelian") disease risks, and will likely have some true polygenic predictive capabilities. This last part is the main emphasis of the story, but it is just one component of the overall product offering. The article elides a lot of challenging laboratory work on DNA amplification, etc. 3. GP will only deliver results requested by an IVF physician. It is not a DTC (Direct to Consumer) company. 4. All medical risk analysis proceeds from statistical data (analyzing groups of people) to produce recommendations concerning a specific individual. 5. I am on the Board of Directors of GP but am not an employee of the company. Nathan Treff was diagnosed with type 1 diabetes at 24. It’s a disease that runs in families, but it has complex causes. More than one gene is involved. And the environment plays a role too. So you don’t know who will get it. Treff’s grandfather had it, and lost a leg. But Treff’s three young kids are fine, so far. He’s crossing his fingers they won’t develop it later. Now Treff, an in vitro fertilization specialist, is working on a radical way to change the odds. Using a combination of computer models and DNA tests, the startup company he’s working with, Genomic Prediction, thinks it has a way of predicting which IVF embryos in a laboratory dish would be most likely to develop type 1 diabetes or other complex diseases. Armed with such statistical scorecards, doctors and parents could huddle and choose to avoid embryos with failing grades. IVF clinics already test the DNA of embryos to spot rare diseases, like cystic fibrosis, caused by defects in a single gene. But these “preimplantation” tests are poised for a dramatic leap forward as it becomes possible to peer more deeply at an embryo’s genome and create broad statistical forecasts about the person it would become. 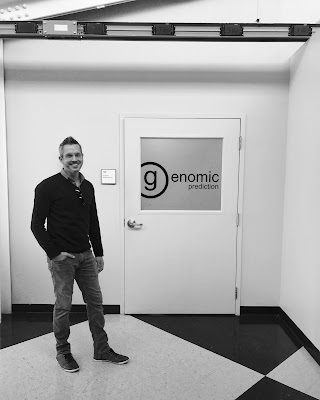 The company’s plans rely on a tidal wave of new knowledge showing how small genetic differences can add up to put one person, but not another, at high odds for diabetes, a neurotic personality, or a taller or shorter height. Already, such “polygenic risk scores” are used in direct-to-consumer gene tests, such as reports from 23andMe that tell customers their genetic chance of being overweight. For adults, risk scores are little more than a novelty or a source of health advice they can ignore. 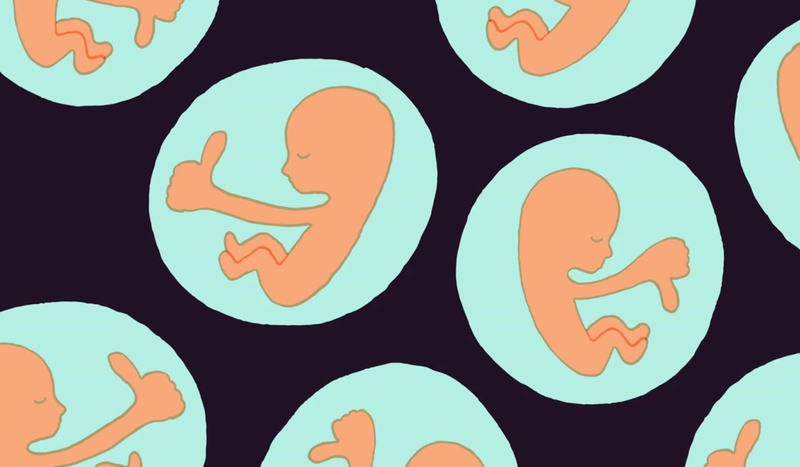 But if the same information is generated about an embryo, it could lead to existential consequences: who will be born, and who stays in a laboratory freezer. “I remind my partners, ‘You know, if my parents had this test, I wouldn’t be here,’” says Treff, a prize-winning expert on diagnostic technology who is the author of more than 90 scientific papers. This week, Genomic Prediction manned a booth at the annual meeting of the American Society for Reproductive Medicine. That organization, which represents fertility doctors and scientists, has previously said it thinks testing embryos for late-life conditions, like Alzheimer’s, would be “ethically justified.” It cited, among other reasons, the “reproductive liberty” of parents. ... Hsu’s prediction is that “billionaires and Silicon Valley types” will be the early adopters of embryo selection technology, becoming among the first “to do IVF even though they don’t need IVF.” As they start producing fewer unhealthy children, and more exceptional ones, the rest of society could follow suit.